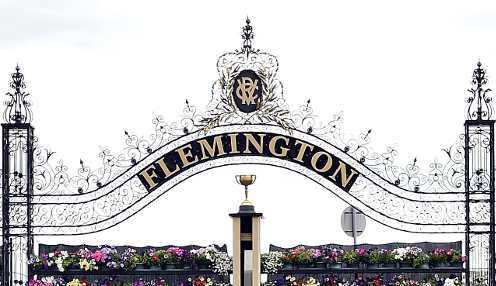 Trainer James Cummings says he is happy with the condition of Osborne Bulls heading into Saturday's Group 1 Newmarket Handicap (1200m) at Flemington. Osborne Bulls finished second to In Her Time when resuming in last month's Lightning Stakes (1000m), and Cummings says he has improved since then after the stable gave him an easy time. We're quietly confident that we've got him where we visualised he would be at this stage of his preparation. Osborne Rules had a hit out on Tuesday morning and Cummings said the gallop left his charge ready to fire in Saturday's $1.25million race. "He's gone ahead since the Lightning," Cummings said. "He came out for a nice gallop this morning and he's licking his lips, happy to be where he is, and I think he's going to enjoy another big challenge up the straight. "Some of his opposition you would have seen in a straight-track jumpout on Friday morning and we bypassed that to make sure the horse continued to have improvement as the preparation unfolds. "We're quietly confident that we've got him where we visualised he would be at this stage of his preparation." Jockey Craig Williams declared Osborne Bulls was the "best sprinter in Australia" after riding him in the Lightning Stakes, and he get another chance to prove it this weekend. "I just hope Craig Williams is a very good judge," Cummings said. "This is where the pressure goes on a horse like him and it will be fascinating to see how he handles that." Williams steps aside this weekend as star jockey Hugh Bowman will be aboard Osborne Bulls in the Newmarket Handicap. Osborne Bulls is 17/5 to win the Newmarket Handicap, with In Her Time 9/1 and Eduardo 9/2.